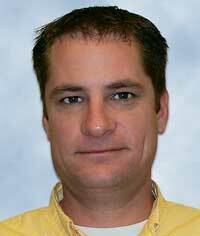 TALLAHASSEE, Fla. - May 16, 2014 - PRLog -- Ring Power SVP/Director of New Sales Tim Maguire has announced the promotion Charlie Usina to Forest Products division manager and Mike McCray to Forest Products Major Account Manager. Usina, a graduate of Florida State University, began his Ring Power career in the sales training program in Tallahassee 15 years ago and spent 10 of those years as a product support sales representative in the heavy equipment division. During that time, he earned honors in the Masters Program for Product Support Excellence and attended Caterpillar's Flagship Program. For the last five years Usina has worked in heavy equipment sales. He will continue to be based in Tallahassee. McCray first joined Ring Power in 1978 as a service technician, leaving a year later to pursue other opportunities. Much of his time away was spent working for Pioneer Machinery. In 2007, following the acquisition of Pioneer Machinery, Mike returned to his Ring Power roots, bringing with him more than 35 years of experience servicing forestry equipment. Prior to this promotion, McCray has served as Ring Power’s Lake City branch shop lead person. He will now be based out of Ring Power’s Perry, Fla. branch.